Can't wait to get your hands on Samurai Shodown? We've got you covered, with a new gameplay video featuring 20 minutes of footage to satisfy those cravings. You can check out the video below for pure, unadulterated gameplay footage of the upcoming fighting game at your leisure, though be forewarned you'll probably devour it all in one sitting. One interesting thing about the Samurai Shodown footage is the fact that it's mostly in Japanese, save for the characters who speak English. For instance, the character Galford speaks English and calls for his dog to attack: "Go! Puppy!" in the middle of battle. It's a fun touch. In motion, the game resembles games like Street Fighter V, but with a less cartoony, hand-drawn style. The influence on the aesthetic from Japanese manga series and old samurai movies is palpable here, though, and you can see it all in just about every move the characters make. In the 20 minutes of footage, you'll get to see Galford take on characters like the massive Earthquake, series mainstay Haohmaru, and several other brawlers. Watching the characters interact is a joy, and the animation is crisp and pleasing. You'll definitely come away from the game with an appreciation for the way it looks, that's for sure. Then, be sure to subscribe to Shacknews and the GamerHubTV channels on YouTube for the latest videos and news. You can also head back over ot our GDC 2019 hub for all the latest info from the conference. 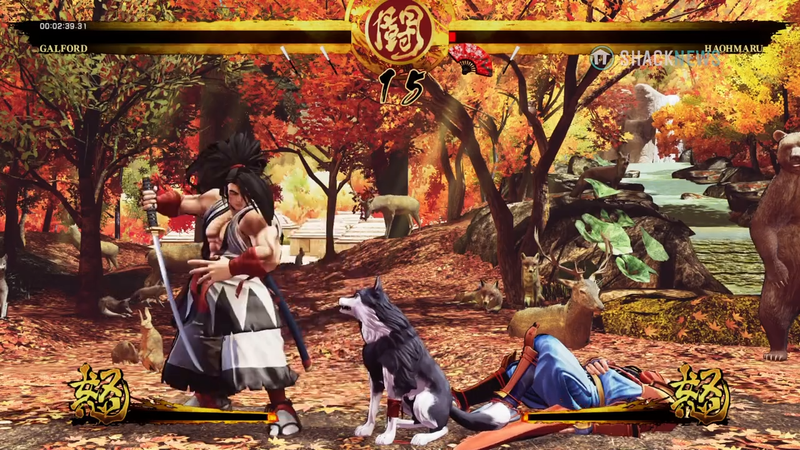 Samurai Shodown 2019 is gorgeous! I'm glad that there will be a 12th entry of this classic fighting game franchise. I love how SNK made the animations and gameplay work with its graphical power. The bloodspray, damage system, and wounds - I like how it's a less bloody than Mortal Kombat and less like Soul Calibur. What an epic comeback for the Samurai Shodown franchise!